10% OFF all Payot skincare products when you purchase 3 or more products. Payot Elixir repairs, nourishes, softens and beautifies the body, face and hair, while ensuring long-lasting protection against drying and dehydration. 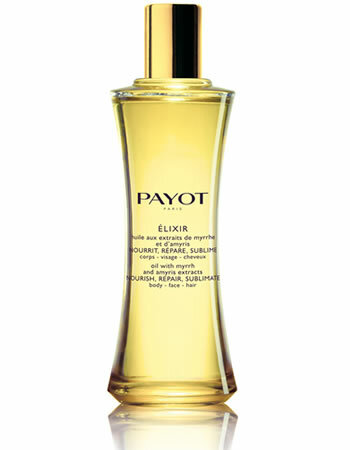 Payot Elixir contains extracts of Myrrh and Amyris that stimulate the reconstruction of the epidermis, combined with a blend of plant oils, which reinforces the skin against daily aggressions and boosts its resistance to stress. Essential oil of Osmanthus relaxes the features and increases the skin's ability to recover.